Once again at day three of the EFPT tow-in here at the Engadinwind, stunning scenery met incredible action. After an exciting qualification round yesterday, where every rider had six attempts to go bigger each time, the top six competitors were sent to the water today for the big tow-in final. The finalists included some highly credited tow-in experts like Adam Sims (Sailloft/Patrik), Amado Vrieswijk (Severne/JP) and Tonky Frans (RRD/RRD), as well as the two local riders Jeremy Plüss and Balz Müller (Severne). German Duotone/Fanatic freestyler Marco Lufen completed the fleet of six. The competition format allowed three runs for each finalist, with the best one counting. 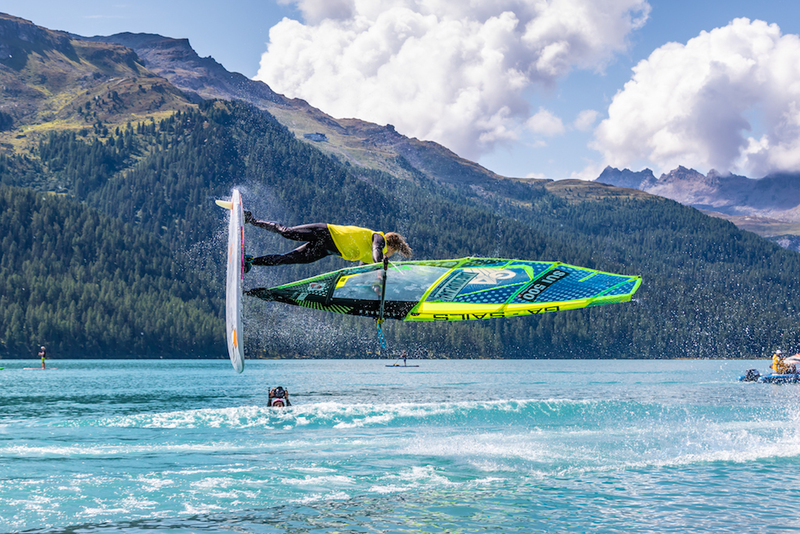 Scores were based on style and technical difficulty and the riders had the chance to use the wake of a boat, to add some extra height to their tricks. Going into the final as the leader, has been Adam Sims from the UK. The Brit is famous for pulling spock culos, double spocks and double culos out of his sleeves in this discpline, however didn’t manage to land his tricks today. A perfect burner brought him 6,19 points in the end, which was enough to pull the 4th place. Marco Lufen seems to need the pressure. He failed two tricks, just as yesterday, before going through an air burner 360. The messy landing put him into 5th place. Last place in the final went to Tonky Frans, who couldn’t land his air burner attempts and who went for all or nothing in his last run, trying a huge double air culo. Whilst the rotation was amazing, Frans couldn’t get the landing right and scored only 4,44 points. Two of the top three riders already scored their highest points in their first run. Jeremy Plüss landed a perfect air burner 360 (6,69 points) which put him into third place behind Balz Müller, who did the same move, however added an extra bit of style (7,81). Amado Vriewswijk, who definitely went into this final as a contender for the victory, stomped a double air funnel (7,94) in his first and a super clean and stylish air funnel into burner (8,25) in his second run, with a score that stayed untouchable throughout the remaining competition. 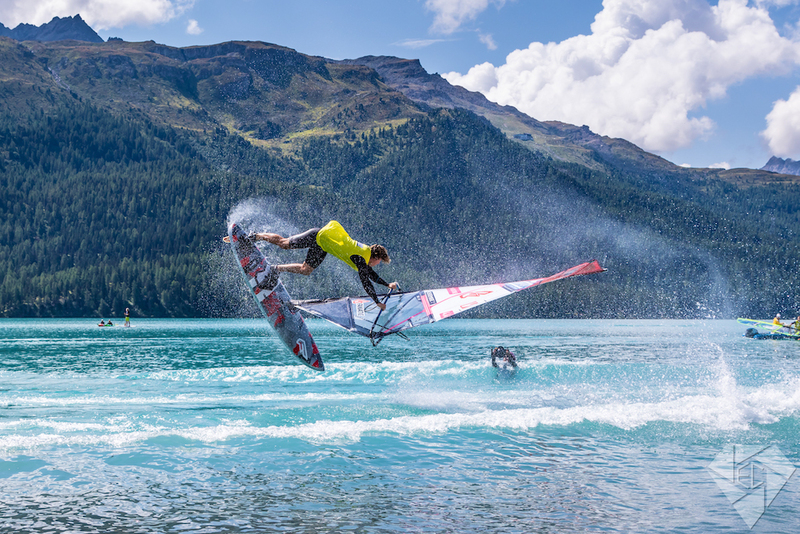 Vrieswijk therefor secured the victory at the first ever EFPT tow-in competition at Engadinwind. The afternoon finished off with the prize-giving, straight after the impressive Surf – & Kitemarathon at lake Silvaplana.